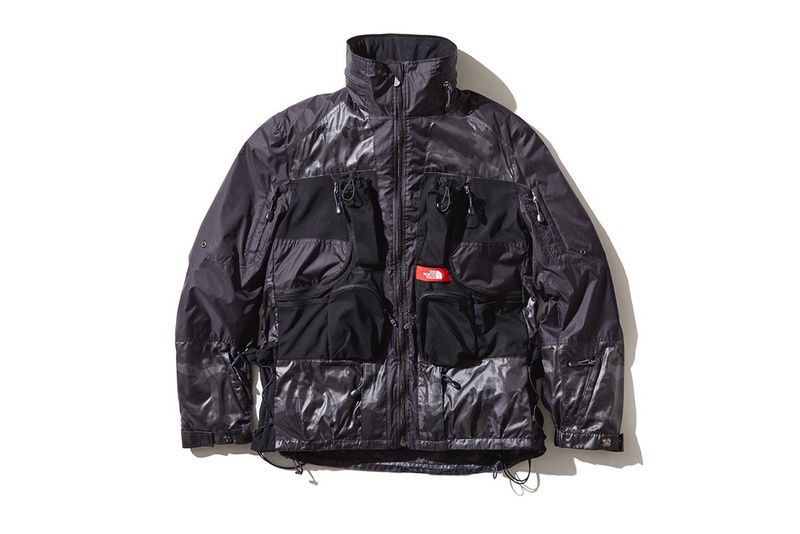 Following up on the initial drop, more collaborative Spring/Summer 2019 Junya Watanabe and The North Face gear has surfaced. A few new styles co-mingle with familiar grails, including reworks of the famed backpack-infused mountain parka. Along with the previously-revealed coaches jacket — upgraded with camouflage and elbow patches — Watanabe’s seasonal take on the “TR ZERO” backpack jacket offers a similarly-patterned inner lining, touching on the COMME des GARÇONS designer’s workwear inclinations. Multiple colorways of each are on hand, as usual, with plenty of brown and navy for maximum versatility. New for SS19 is the “Hydrena Camouflage” jacket, a rework of the Hydrena Wind jacket from the ’90s. Watanabe elevates it with windowpanes and — what else? — camouflage, giving both the beige and navy iterations a heavily-patterned outer shell. Inside, the jacket sports camouflage and gingham, mirroring the coaches jacket’s blue collar influence. The North Face’s Japanese stores are currently receiving the collaborative jackets, expect them to arrive stateside via Dover Street Market outposts and stockists like Farfetch shortly. Recently, The North Face delivered technical COOLMAX-lined denim for Spring 2019. A new color choice for the Tinker Hatfield design. Stocking exclusive vintage Apple, Microsoft and tech merch. A colorway for all seasons. Reebok will design an exclusive shoe with the six finalists. Iconic Brazillian footwear connects with Italian sportswear.